Neil Cohn analyzes different comic page layouts and finds that many of the "don't do this" rules with regard to layout don't really hold up under scientific scrutiny. 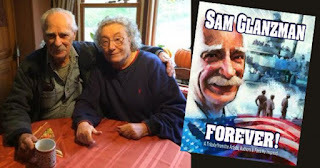 Sam Glanzman has entered the first stages of hospice care. Drew Ford set up a GoFundMe designed to help him.